City of Westminster Archives CentreThe Romantic Illustration Network has organized a student internship at our partner organization, City of Westminster Archives Centre, in London. Roehampton student Philip Rafferty (MRes, Classics), will spend four weeks at the Archives, funded by Santander bank. Philip has been working with the Shepherd Collection of London prints, and the playbills collection, as well as cataloging and assisting with RIN’s summer event on July 19th. The University of Delaware Library, in Newark, Delaware, and the Delaware Art Museum are pleased to offer a joint Fellowship in Pre-Raphaelite studies, funded by the Amy P. Goldman Foundation. This one-month Fellowship, awarded annually, is intended for scholars conducting significant research in the lives and works of the Pre-Raphaelites and their friends, associates, and followers. 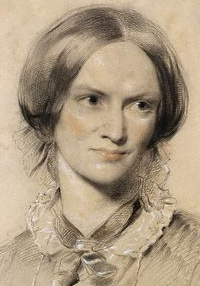 Research of a wider scope, which considers the Pre-Raphaelite movement and related topics in relation to Victorian art and literature, and cultural or social history, will also be considered. Projects which provide new information or interpretation—dealing with unrecognized figures, women writers and artists, print culture, iconography, illustration, catalogues of artists’ works, or studies of specific objects—are particularly encouraged, as are those which take into account transatlantic relations between Britain and the United States. Applicants whose research specifically utilizes holdings of the University of Delaware Library, the Mark Samuels Lasner Collection, the Delaware Art Museum, and the Helen Farr Sloan Library and Archives, are preferred. Sadly, good news stories are rare these days. So when they come along, I tend to cling to them like precious cargo that can keep me afloat amidst the torrents of awfulness threatening to pull us all under in this unsettling and violent world. Here is a report by Michael Falk (PhD Candidate at the University of Kent) on the Early Career and Postgraduate Conference for the British Association for Romantic Studies, ‘Romantic Voices 1760-1840′. The conference was held on the 22nd-23rd June 2016 at the Radcliffe Humanities Building, Oxford, in association with TORCH, the Oxford Research Centre in the Humanities. The keynotes were Dr Freya Johnston (University of Oxford) and Professor Simon Kövesi (Oxford Brookes University). You can see the CFP here. The steamy atmosphere of the referendum had descended, and we were all a little queasy. Few had escaped the national mood of uncertainty and division, even if for many it was offset by a frisson of hope and rebellion. Colleen English was one of a number of BARS members who were awarded Stephen Copley Research Awards earlier this year. Below, she gives an account of the research that the award assisted her with completing. The Stephen Copley Research Award partially funded my research trip to London in mid-June 2016 to consult manuscript and print materials in the British Library and the Wellcome Library. The Award enabled me to consult material crucial both to my monograph project, “Writing the Dead: Epitaphs, Elegies and Communities of Sentiment in Romantic Ireland” and to an article I am preparing for publication on John Keats’s poetry and the scientific process of embalming corpses. Our annual “William Blake and His Circle” feature by G. E. Bentley, Jr. Early last week Team Marginalia decided we were finally ready to develop a test tagset for transcribing Blake’s marginalia. We spent a lot of time trying out this new tagset using Blake’s annotated copy of J.C. Lavater’s Aphorisms on Man. The above image is a pair of pages from Blake’s annotated copy of Aphorisms on Man. When we transcribe, we will be treating each page, not each pair of pages, as an object. RIN’s summer event took place on one of the hottest evenings of the year, but a great crowd turned out to hear Frederick Burwick’s public lecture ‘Staging Shakespeare: picturing Shakespeare’s plays in the 18th and 21st centuries’. A renowned expert on the Boydell Shakespeare Gallery, Burwick’s starting point was the question: what relevance are the Boydell prints to the staging of Shakespeare? His answer, in contrast to Richard Altick’s (in Painting From Books, 1985) is: quite a lot. Burwick picked out 27 images which showed that many (not all) of the Boydell prints in fact have a close affinity with what a London audience might have witnessed on stage at the end of the 1700s. He showed that, because many of the original paintings were done by artists who were also scene painters, the prints are a useful guide to what the 18th century stage would have looked like. Northcott and others asked actors such as Kemble to pose in their studios in role, and the paintings conform to the language of gesture in use on the stage at that time.